Current Offers. 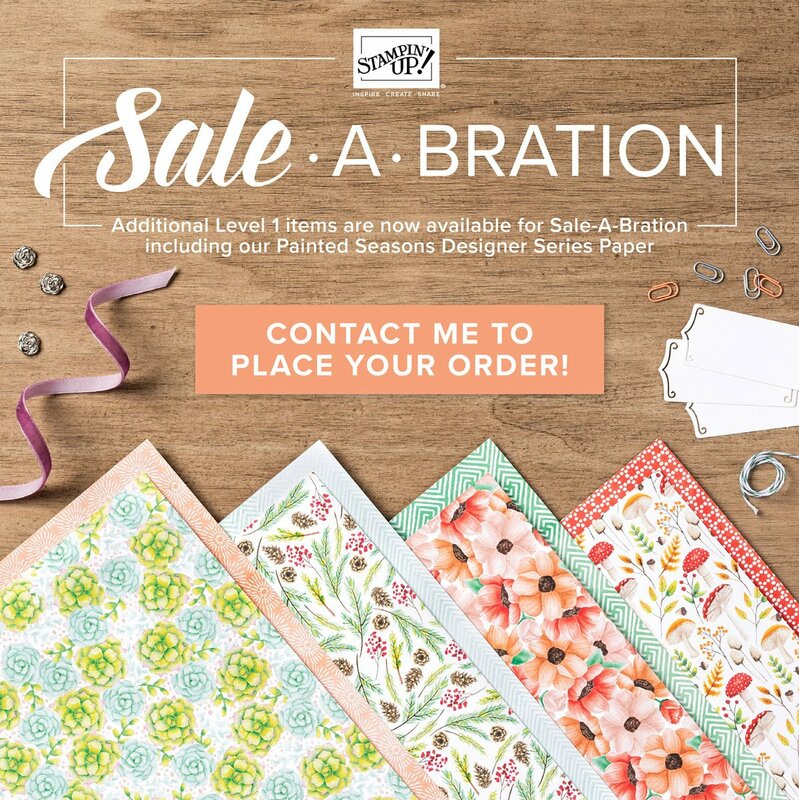 It is time for Sale-a-Bration! This is one of the best times of the year and is certainly one of the best offers of the year. 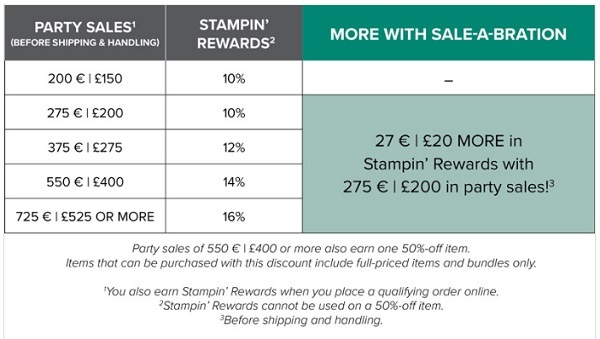 From 3rd January to 31st March 2019 you can earn FREE products whether you Shop, Host or Join. 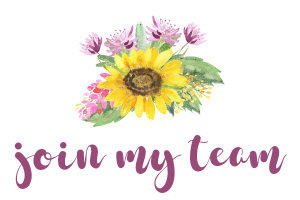 The attachment just below here shows all of the items that are currently available to earn FREE just for placing a Qualifying order of just £45. This also shows the new items that will be available from 15th February, so even more to choose from! Just remember that all these items are While Stocks Last, so if you want any of these, don’t hang around, some items have already sold out and more are about to! 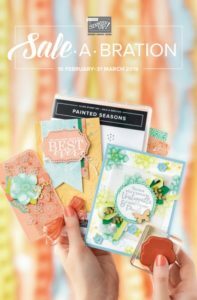 Do you want extra packs of the Painted Seasons Designer Series Paper? Or perhaps you want items from the Annual Catalogue FREE? Well, you are in luck. Just click on the image below to see the extra items you can now get FREE. They are all Level 1 items, FREE with a £45 order. The Clearance Rack is always worth a visit. This is updated every now and again, so remember to check it out regularly. Purchases from here count towards your Sale-a-Bration purchase. Remember the BEST offer in the Catalogue is available every day of the year. For just £99 (and FREE P&P) you can order your perfect Membership Kit, containing YOUR choice of products from any current catalogue, the Clearance Rack and possibly some Demonstrator only offers (contact me for current deals available). Just pick your perfect list of products to a value of £130.00 (not a penny more!). For more information, click HERE or just click HERE to join up straight away. 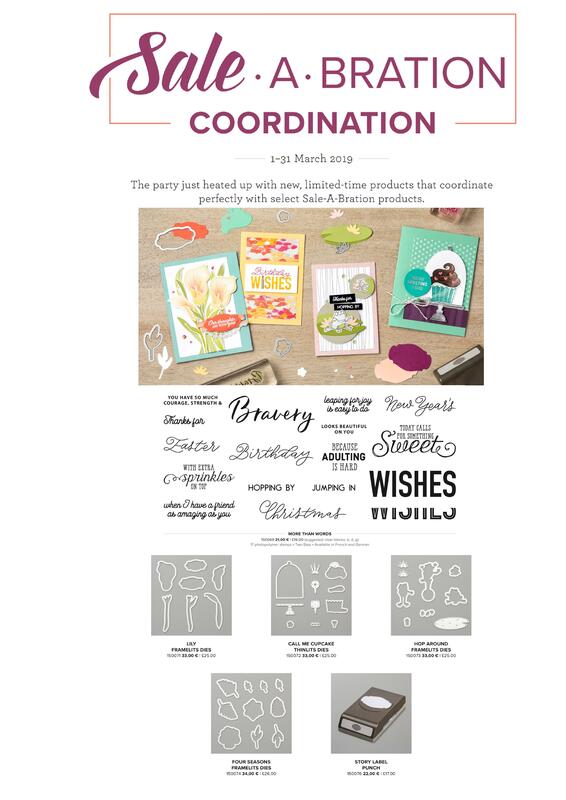 During Sale-a-Bration you can include additional product in your Starter Kit (see details above).